With the New Year upon us and millions of New Year Resolutions being made, this is the time of the year where ClassPass knows which side of their bread is buttered on. 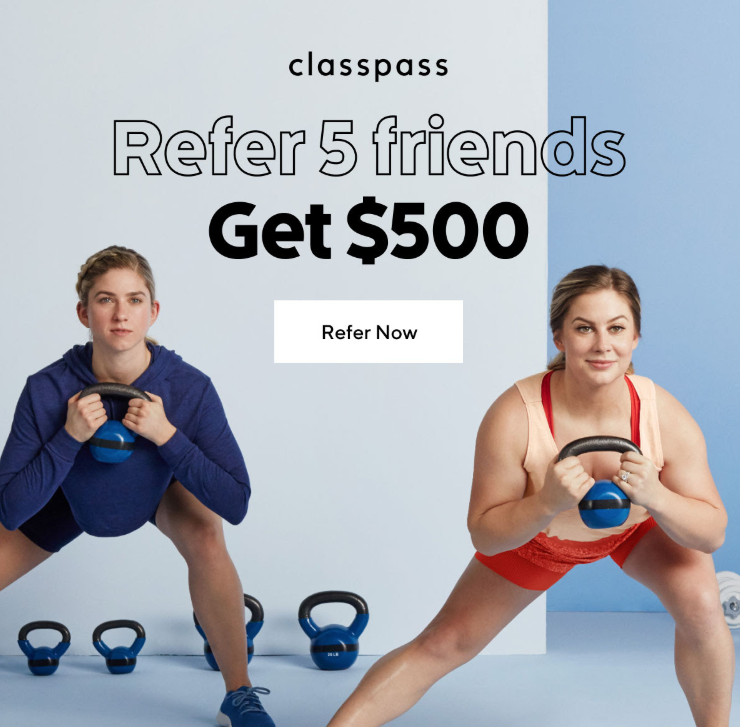 The company sent out emails to all of their users enticing them with a promotion that will have them running out tto refer their friends and family to join ClassPass. You see, prior to this promotion, referrals earned current members $40 per each referred person. With this New Year’s promo, members won’t just get $40 for each friend that joins with their referral link, but members have a chance to receive $100 per referral. Whoa. The sticking point is that you have to refer no fewer than 5 friends by January 9th, 2019. Start referring now. 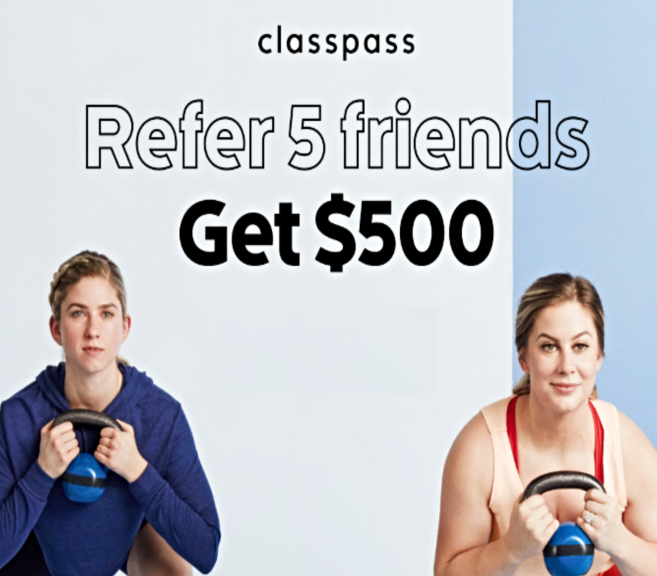 If you can get five friends or family members to sign up, ClassPass will top off your account with $500 in credit. That’s approximately four months free at their highest subscription plan! They know that friends are more likely to go with the class that their friends recommend and the incentives make the new year resolutions easier to adhere to. Now, you won’t just get $40 for each friend that joins with your referral link. Refer 5 friends by January 9 and we’ll top off your reward to $500. Because friends (and extra cash) make resolutions easier to stick to. To be a successful referral, your friend must sign up using your referral link, which can be found by clicking above. For each friend you successfully refer, $40 will be applied to your account in the next subscription month after the one in which your friend signs up. You can earn $500 total, including the five individual $40 referral rewards, if five friends sign up by January 9, 2019. The additional monetary reward will be added to your account by January 10, 2019. Friends cannot be current or former ClassPass members in order to qualify. ClassPass credits can be redeemed for classes.